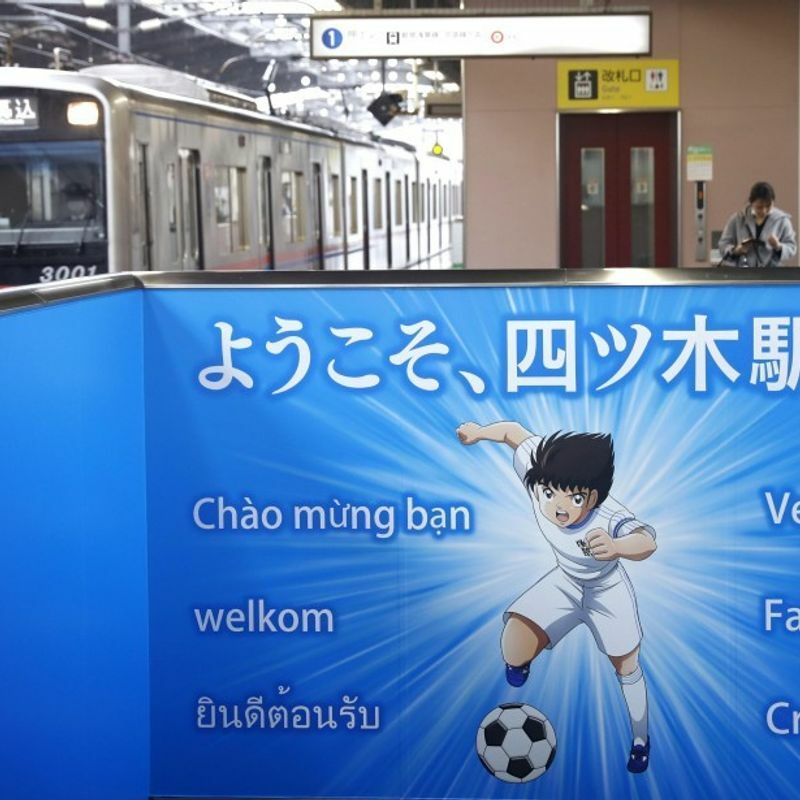 A local train station in Tokyo has been covered from floor to ceiling with images from Japan's famous football manga and anime series "Captain Tsubasa" and the train arrival chime now features the show's theme song. 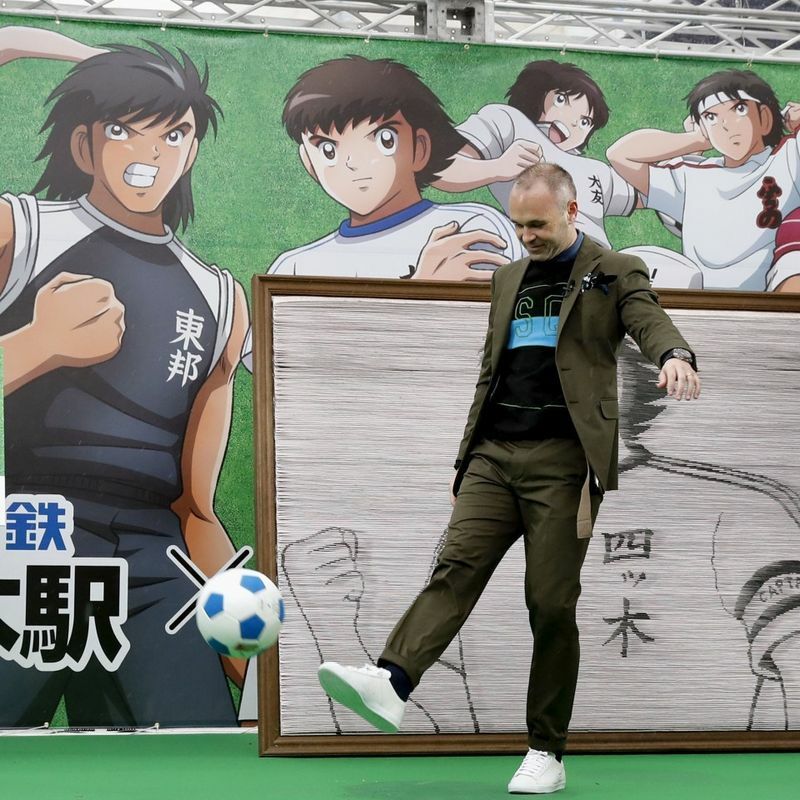 Keisei Electric Railway Yotsugi Station's new interior was unveiled Monday at a ceremony attended by Captain Tsubasa's author Yoichi Takahashi and Spanish football superstar Andres Iniesta, who is known to be a big fan of the anime. 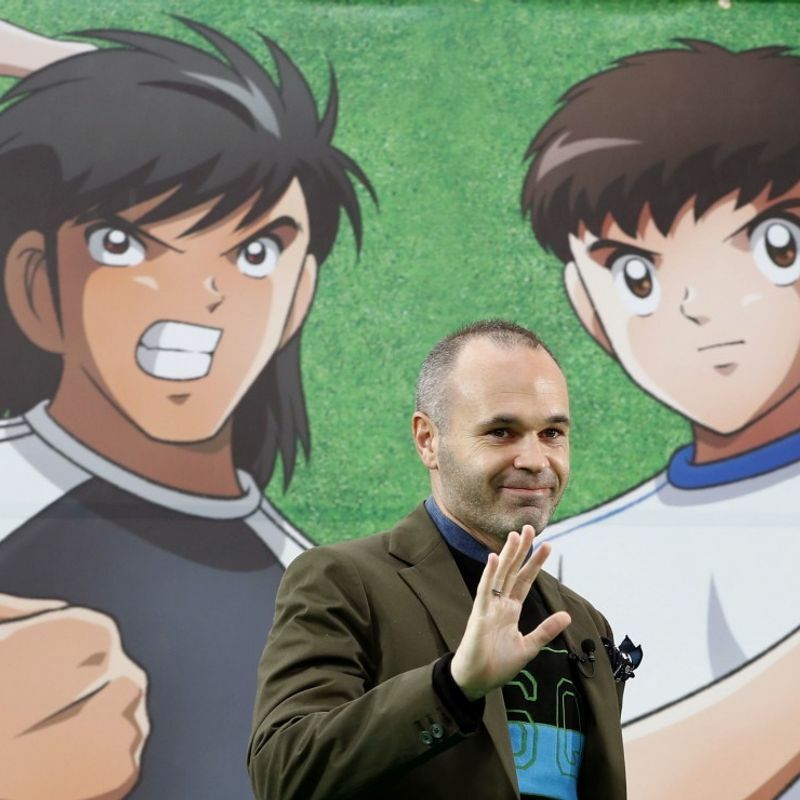 The Vissel Kobe midfielder revealed that he had watched the anime as a child before going to school. "I remember the characters' unique playing styles, and am happy to be playing in Japan, where the anime was made," he said. 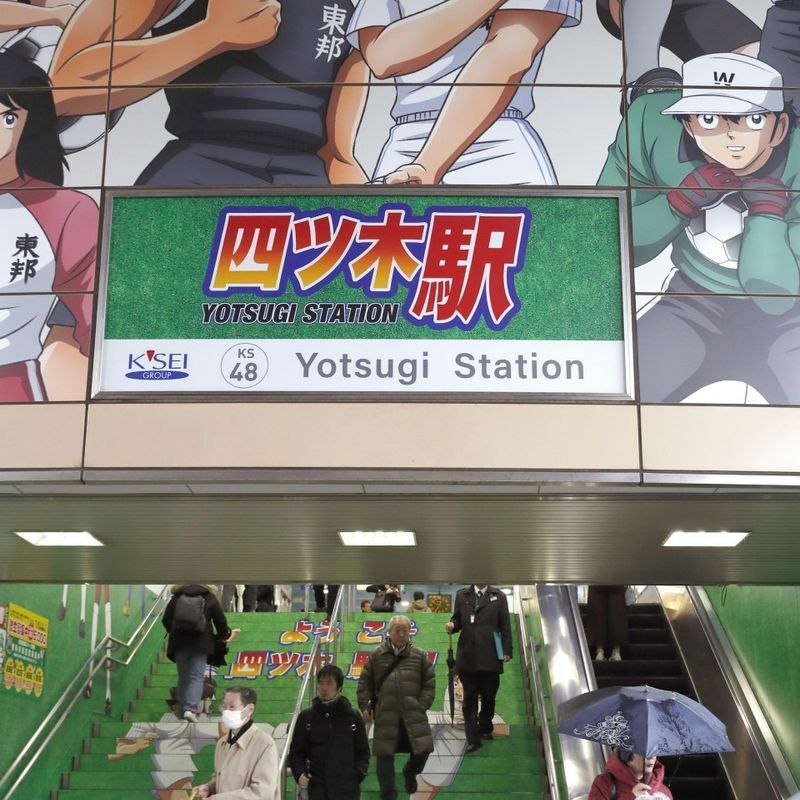 The station in Tokyo's Katsushika district is seen as a mecca among Captain Tsubasa fans as Takahashi hails from the area. 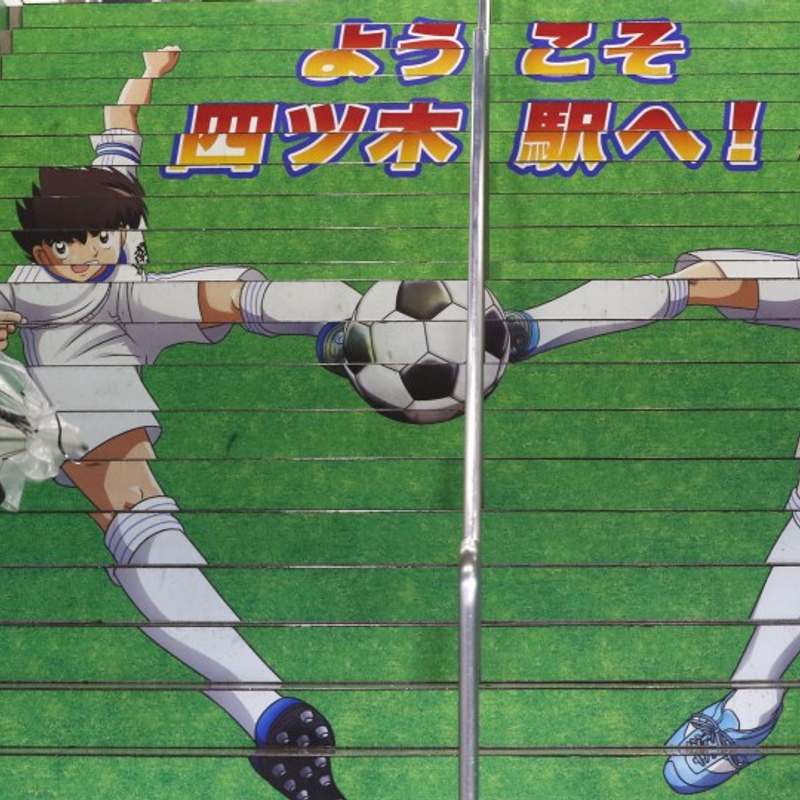 Huge murals of protagonist Tsubasa Ozora and his friends adorn the concourse walls and station signboard, while goalkeeper Genzo Wakabayashi is featured blocking a goal on the stairs urging passengers not to rush onto the train. In addition, Tsubasa's voice is featured in the station announcements, and the anime's ending theme song "Moete Hero" is used as the platform chime. The Captain Tsubasa manga series, first published in 1981 in Shueisha's Weekly Shonen Jump comic book, is a worldwide hit and has been adapted as a TV animation series as well as video games. It remains popular four decades on and is still being shown on Japanese television to this day.